Reliable Controls is pleased to announce the company’s expansion within the Asia-Pacific market, with two new appointments: Jacob Sng, Regional Sales Manager - Southeast Asia and Vivek Shrivas, Application Engineer - Asia Pacific. Jacob Sng is a veteran in the controls industry with a thirteen year career with global players in controls, and has been responsible for sales and long-term relationship management in Malaysia, Thailand, and the Philippines. In his previous roles, Jacob has designed and priced building service solutions including Building Management Systems, PLCs, security systems, and CCTV systems, and has managed the teams of engineers and technicians that installed the systems he designed and sold. Teaching his fellow technicians how to program the logic and configuration of control systems was a regularly scheduled activity. Jacob holds a degree in Electrical and Electronics Engineering, and comfortably speaks English, Mandarin, Hokkien, and Cantonese. Jacob is based in the Singapore branch of Reliable Controls and will manage and grow the Authorized Dealer network from Japan to Indonesia to India. Vivek Shrivas is an Electronics and Instrumentation Engineer with nearly a decade of involvement in the Building Management and Automation System industry. As an Application Engineer for global players in controls, Vivek has been instrumental in managing the design and commissioning of a wide range of automation system projects, including high performance buildings, central plant optimization, industrial plants, hospitals, oil and gas facilities, and data centers. Vivek also brings valuable experience in third-party integration and in supporting a multinational, independent dealer network. Vivek is also based in the Singapore branch of Reliable Controls and will provide a technical anchor for the Southeast Asia, China, and Australasia regions. Reliable Controls sales, installation, service, and support are all performed by a growing network of independent, factory trained Authorized Dealers. Each dealer is committed to the green building controls industry and to providing total customer satisfaction. All dealers are supported by Reliable Controls Regional Sales Managers and Application Engineers in their region. 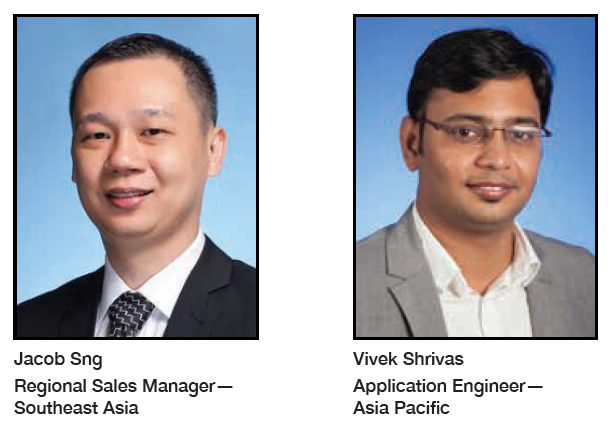 With the appointments of Jacob Sng and Vivek Shrivas, Reliable Controls expects to strengthen customer support and satisfaction in the growing Asia-Pacific region.